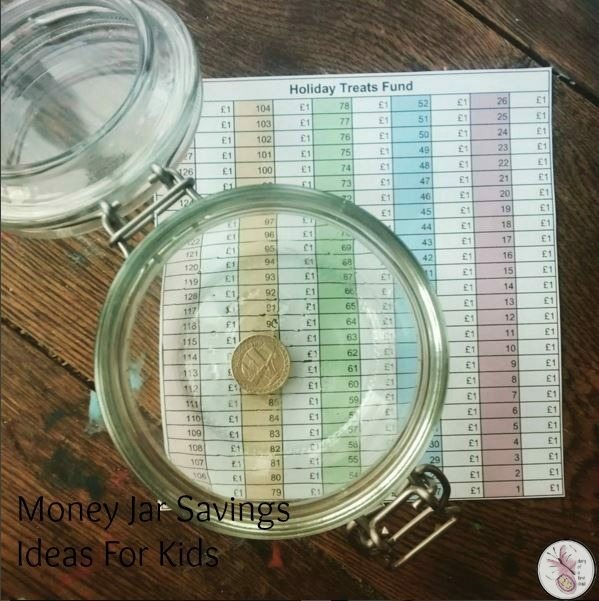 This time of year there are lots of goals floating about and one of the ones you’ll often see on Pinterest is a money saving jar, where you save 1p on the 1st of January, 2p on the 2nd January and so on. 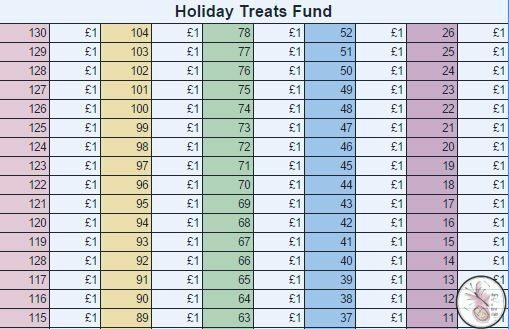 I think this is a great idea, especially for children as they can clearly see how the savings are adding up. Of course you’re starting small so it doesn’t feel like much of a sacrfice initially, but as the year goes on, you head into summer months and later on towards Christmas, and having to drop £3 and more a day into the jar, it will quickly start adding up. I know this wouldn’t work for me and the knowledge that I’d have to suddenly ‘find’ an extra £20-plus a week for the money jar is quite stressful for me, and I know I’d give up probably somewhere around the £2 a day mark. So I decided that we would try it, backwards. That means that January, with it’s short, cold days, where we tend to stay in more and spend less anyway, is the hardest month for filling the jar. Filling your money jar backwards means that no day for the rest of the year will require quite as much money as today, or yesterday did. I find that quite positive and uplifting! My daily ‘sacrifice’ will get smaller, but my savings will be ever increasing. Of course that means that by the end of February I’ve had to magic up almost £200 to put into the jar, but actually, it’s the perfect time. There’s no rule that says you *have* to put money in every single day, but if you’re decluttering the house, getting ready for spring, cleaning out after Christmas and so on, you can take that money and put it in the jar in lump sums as you receive it, just keeping track. Obviously that’s not the real spirit of the jar, but does it really matter? Taking a £5 note and breaking it on some sweets you didn’t need so that you could put £3.39 in the jar isn’t really saving. Since for me this is an exercise in saving for the children, I actually did take a £20 and exchange it for £1 coins. I’m hiding the coins so that we can put one in the holiday jar every day. Of course if this was for me, I’d just do transfers from my bank account so that I don’t have the temptation of physical cash, and so that I could be earning interest where I can, but again since this is for the children, I think the physical visual of a jar (two in our case) is useful. [pullquote]That means that January, with it’s short, cold days, where we tend to stay in more and spend less anyway, is the hardest month for filling the jar. Filling your money jar backwards means that no day for the rest of the year will require quite as much money as today, or yesterday did. [/pullquote]Because I’m a sucker for punishment it seemed practical for us, we actually have two jars on the go: a Christmas fund, counting down from £3.65 and a £1 jar for our holiday in June. This is our ice cream fund, according to the girls. By the time we go on holiday, we should have £130 in the jar. Lots of ice creams for 7 days! It’ll be nice to have a little bit of ‘frivolous’ money though. For the big jar, where you’re supposed to have over £600 saved by the end of it, we’ve set a date of 15 December, at which point we’ll add the last two week’s worth of coins on one day – totalling £1.34. That way we still have 10 days left to buy Christmas presents and food. 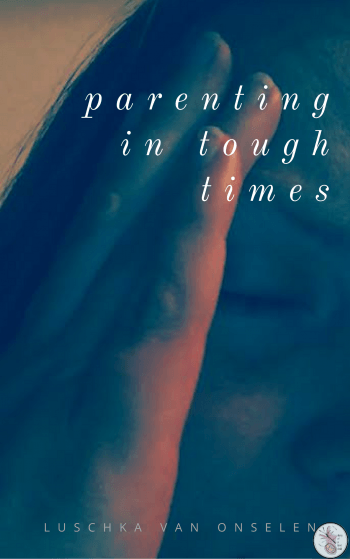 I can see this as a really good way of making big things not break the bank when they come round – though I’ll probably just use my bank accounts for non-child projects! Whichever way you choose to do a penny jar, it’s a good way to save some pennies and get the kids “hands on” involved too. And if we achieve it, we’ll have a financial stress free Christmas and a lot of ice cream on holiday too!